Q. Hi John, welcome to The Horror Zine. Let’s get started. You are famously known as the co-writer of the 1968 classic NIGHT OF THE LIVING DEAD. What was it like working alongside George Romero? A. I worked with George for about five years before we collaborated on NIGHT OF THE LIVING DEAD. Everybody loved George because of his great talent, affability and sense of humor -- and much more! It was a joy just being with George as a friend; we always had a million laughs. George Romero, Russ Streiner and I -- plus our friend Rudy Ricci, who introduced me to the both -- were sort of Renaissance men. We were greatly interested in all that was going on in the world, including the arts, the humanities, movies, poetry, politics, and on and on. Of course, in addition to co-writing the screenplay for NOLD, George, Russ and I were also the driving forces behind the making of the movie, as were Vince Survinski, our close friend and production manager, plus Gary Streiner, Russ's brother. Q. What was the budget to make the film NIGHT OF THE LIVING DEAD (NOTLD)? How did you keep within that budget? A. We started the ball rolling with only $6,000 -- $600 apiece put up by me, George, Russ, Gary, Vince, plus Rudy Ricci, Karl hardman, Marilyn Eastman, etc. -- ten of us originally, which is why we called the new company we formed Image Ten, Inc., an offshoot of our parent company, The Latent Image, Inc. We sold stock at a higher price to some additional investors, who were not part of the original staff but worked their butts off nonetheless. And we ran up The Latent Image accounts with suppliers, such as WRS Motion Picture Lab. The finished budget, after we paid some bonuses when money started coming in, totaled around $114,000. We were able to make a very good movie on that low budget because by that time we had honed our skills on dozens and dozens of commercial jobs and had turned ourselves into a tight-knit and highly skilled production unit. Q. Zombies are quite the rage, and have been for a while now. However, the idea was not popular (aside from WHITE ZOMBIE) in 1968. NOTLD was groundbreaking. 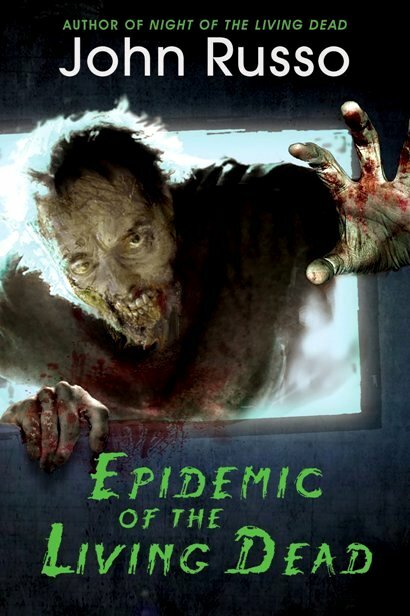 How did you come up with the idea to make a zombie film at a time when no one else did? A. I actually came up with the idea of "dead people in search of human flesh." It's a long story as to how that idea came into my head, but it was a result of ideas being batted around by me and George Romero. He wrote the beginning of the script in story form, and I re-wrote it, putting it into screenplay format, then I kept going and wrote the second half of the script based on my own ideas, plus George's ideas, and suggestions from others in our production group. Q. I understand that NOTLD has gotten a Criterion release, and has been beautifully restored and enhanced for Criterion by the Museum of Modern Art and The Film Foundation. Funding was provided by the George Lucas Family Foundation and the Celeste Bartos Fund for Film Preservation. Would you like to tell us about that? A. Well, that process and the negotiations with Criterion and Janus Films were carried out by Gary Streiner, with aid and support from me, Russ and George. 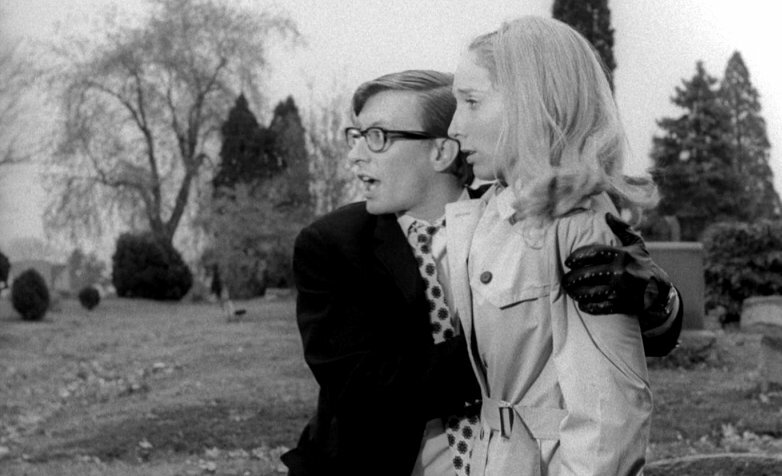 The restoration really is gorgeous, and it will be shown at the Byham Theater on Oct. 6, 2018, as part of the 50TH ANNIVERSARY CELEBRATION OF NIGHT OF THE LIVING DEAD. Q. You have been very busy since 1968! You appear in many conventions as a featured guest. I personally ran into you at CreatureCon here in Sacramento. According to your biography, one of the highlights of your career was your guest appearance at the Orion Festival, hosted by Kirk Hammett and METALLICA. Do you want to tell us about that? A. Kirk is a very warm and gracious person of obviously huge talent, and he has what is probably the most comprehensive and valuable collections of horror-movie artifacts and memorabilia in the world. Through my good friend Robert Lucas, who has done videography for Kirk, I got invited to the Orion Festival as a special guest in Kirk's tent. It was a wonderful event! I'll never forget it. Some of the other special guests were Tom Savini, Gunnar Hansen, Eben McGarr, Jordan Ladd, and so on. I loved every minute of it. Kirk and his staff liked the way I related to them and their fans, and so they invited me to yet another event, Kirk Von Hammett's Fear Fest Evil, in California, where a TV spot was filmed featuring me as a zombie. This was the inspiration for my screenplay and movie, MY UNCLE JOHN IS A ZOMBIE! It's gotten great fan reception at festivals and special screenings, plus excellent reviews, and we are shopping it to distributors right now. Q. You have written screenplays for many films since NOTLD. Some include RETURN OF THE LIVING DEAD, HEARTSTOPPER, THE MARJORETTES, among others. Tell us about your latest film in production, MY UNCLE JOHN IS A ZOMBIE. A. Well, in addition to co-directing with Robert Lucas and co-producing with Robert Lucas and Gary Vincent, I had to play the lead role since I had invented the character, Uncle John. It's the largest role I ever played and it was quite a challenge. But, as I said, it's getting rave reviews. The basic idea is that Uncle John's ditzy niece (Cy-Fi) and his not-too-bright security guard nephew, Oscar (played by Gary Vincent) have kept Uncle John alive and hidden for 40 years, and have been secretly feeding him "only people who deserve to be eaten." Then Cy-Fi decides to bring Uncle John out into the open to advocate for zombie rights -- and everything that happens after that is funny, entertaining and sometimes scary. 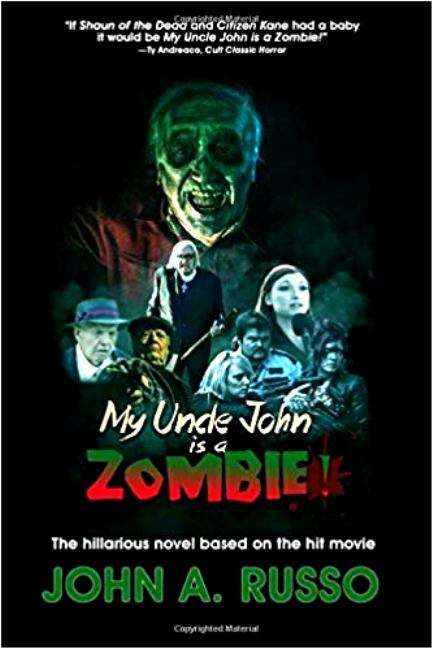 You can see the trailers, clips, and tie-in products at: myunclejohnisazombie.com. Q. You are also a novelist, having written around twenty books so far. What are the differences between novel writing and screenwriting? A. Novels require a whole lot more time and effort, in addition to plot, theme and character development, which must be incisive and comprehensive and involving enough to keep the reader invested in the characters. Screenplays for the most part are carried along by the action, but of course also require interesting and involving characters that can be absorbingly and effectively portrayed by skillful actors. Q. You are one of the founders of the John Russo Movie Making Program at DuBois Business College in Pennsylvania. Would you like to tell us about that program, and how could a student enroll? A. Unfortunately, the college went out of business, so the program is no longer there. I have not relocated it yet. But I always thought it was the best and least expensive program in the nation, and our students, taught mostly by me and Russ Streiner, turned out some marvelous work. I instituted many innovations that were unique to the program. Q. I understand that one of the first people to discover your talent for writing was a substitute teacher in the fourth grade who read one of your poems. Is it true that at first she didn’t believe that you wrote it yourself? A. Yes, that's true. She spent the remainder of the class trying to find the book in our little library shelf that I must've copied the poem from. The regular teacher would probably have known I had the ability to write that poem without copying it from somewhere, but the substitute teacher had no idea of that. Q. Were you attracted to the horror genre as a youngster? A. I went to see just about all the movies that came into town. Clairton, PA, where I grew up, was a booming steel town back then, and had three movie theaters, and the pictures changed twice a week, usually, and there were also matinees and double bills. I loved the Dracula and Frankenstein movies, but most of the other stuff that Hollywood was churning out were B and C movies with trite overworked plots. I always hoped to see something good, but was usually disappointed. But when I saw the original INVASION OF THE BODY SNATCHERS I realized that something excellent could be made within the genre, and that contributed to my approach with NIGHT OF THE LIVING DEAD. Q. Where do you see the future of horror going? A. It's a lot easier to make a movie nowadays, thanks to inexpensive digital production, so there is and will continue to be, a glut of product. But there will also probably be some excellent movies that will rise to the top. Because there will always be highly talented people out there who bring original thought to the genre, thinking outside the box, etc. We will probably be in for many pleasant surprises -- we just don't yet know what shape they will take. His books on the art and craft of movie making, such as HOW TO MAKE EXCITING MONEY MAKING MOVIES, have become bibles of independent production. Quentin Tarantino and many other noted filmmakers have stated that Russo’s books helped them launch their careers. John Russo wants people to know he’s “just a nice guy who likes to scare people” — and he’s done it with novels and films such as RETURN OF THE LIVING DEAD, MIDNIGHT, THE MAJORETTES, THE AWAKENINGand HEARTSTOPPER. He has had a long, rewarding career, and he shows no signs of slowing down. 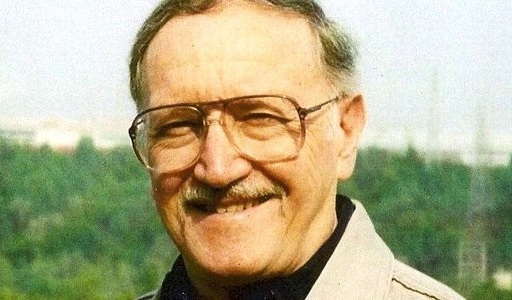 Recently his screenplay for ESCAPE OF THE LIVING DEAD was made into a five-part comic book released by Avatar to great acclaim; it made the Top Ten of Horror Comics nationally and spawned two graphic novels and ten sequels. Russo’s latest novel DEALEY PLAZA was published by Burning Bulb Publishing, which has also published Russo’s novels THE ACADEMY, THE AWAKENING, THE BOOBY HATCH, LIMB TO LIMB, LIVING THINGS and NIGHT OF THE LIVING DEAD. His short story Channel 666 appears in THE BIG BOOK OF BIZARRO and John was a contributing editor on the Burning Bulb hit anthology RISE OF THE DEAD.